The connection between drug use and crime is real. It is also dangerous, not only because of the severity of the crime, but also because of the disastrous effects it can have on a person’s health. Putting an addict in jail may only compound the problem. 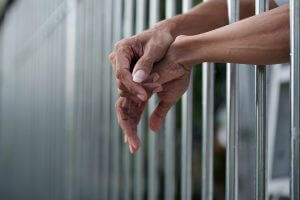 Inmates rarely receive counseling and most must suffer through withdrawal symptoms without being medically supervised. This can lead to an entirely new set of health problems, over and above their original addiction. In fact, it is more likely that an addict will return to their addiction once they are released than try to stay sober. Drugs and crime go hand in hand. Many times addicts resort to crime to make the money the need to buy their drug of choice. While not every inmate was not convicted of a drug related crime, many have confessed to using illegal drugs at some point in their life. An addict who is arrested and thrown in jail is forced to quit using immediately. This can lead to behavioral outbursts and health issues. Without counseling and medical attention, the prisoner is left to deal with the circumstances using their own devices. In most cases, this tends to leave them bitter and unwilling to improve their position in life. Most will eventually return to their old habits immediately upon release, seeking out the only people who seem to understand their need. Judges, lawyers and addiction counselors are learning that if a change is to be made concerning drug use and possible criminal activity, it needs to start as soon as the problem is discovered. Offering an offender the choice between getting help and going to jail, many, especially youth offenders, will often jump at the chance of going to rehab. While not always the “fashionable” choice, rehab provides the offender with a chance to get clean, detoxify and then begin to put their life back together, one step at a time. Depending on the severity of the offense and the offender’s past criminal history, the judge will decide on a rehab facility that offers the type of services the offender will need to be able to begin the recovery process. They will also determine how long the offender will remain at the facility and if any jail time will be added after their release. Offering offenders the choice between incarceration and rehab is the key to making the necessary changes in their lives. For some, the ability to attend court mandated rehab gives them the resources they need to get clean and make positive lifestyle changes. While most judges require the offender pay for the rehab stay once they are released from the program, many offenders do not have the financial means beforehand to be able to afford a lengthy stay at a facility. One of the main benefits of court appointed rehab, is that the facility will help the offender find a job and get back on their feet as their release date approaches. This gives them the tools and resources they need to start over and rebuild their lives. Court mandated rehab programs are giving many offenders, including those who are considered to be juvenile offenders, the opportunity to turn their lives around. It allows them to receive the medical treatment they need as they begin the detoxification process as well as the counseling that will help them come to terms with any emotional or mental health issues they may have. Counselors will often continue to see the offender after they have been released from the program to ensure that they don’t revert to their old habits. It also provides the offender with a support system they can rely on that understands the obstacles they may face along their path to recovery.